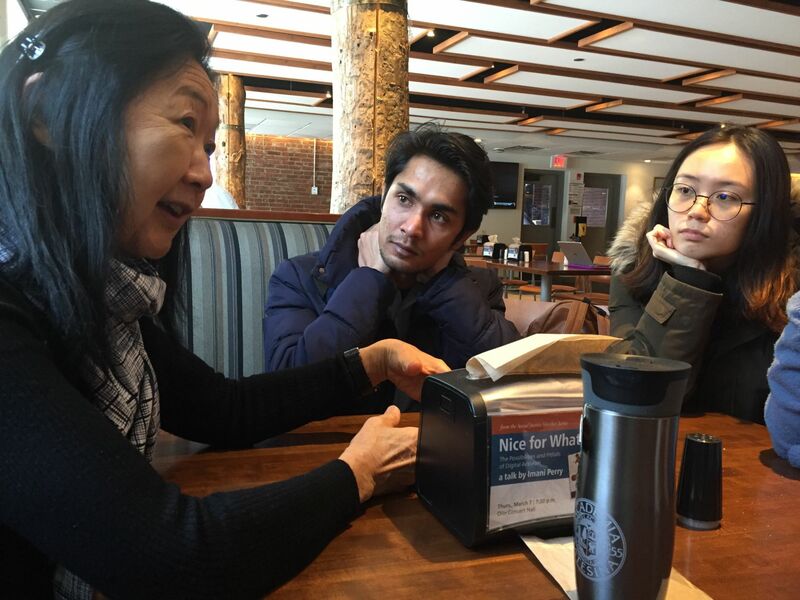 On March 4, 2019, award-winning independent filmmaker Linda Ohama visited Bates Campus to screen her documentary film, A New Moon Over Tōhoku as part of a joint New England tour co-organized with Yale University. 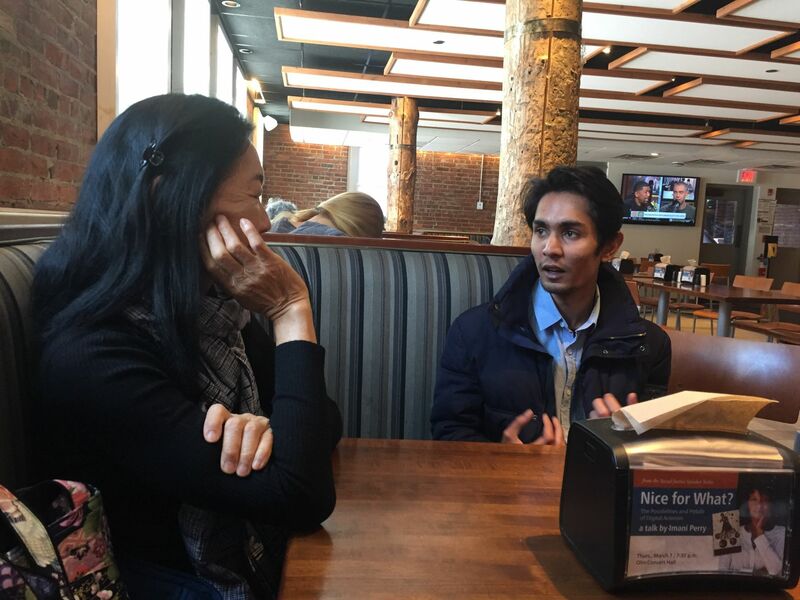 Ohama and Bates Assistant Professor of Japanese, Justine Wiesinger, were first invited to Yale University to screen and discuss Ohama’s film on March 1. 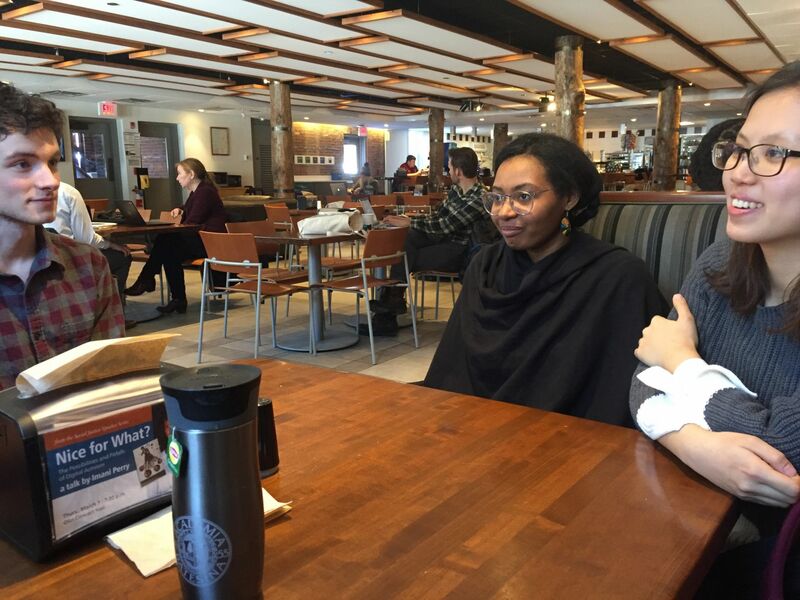 The film was then screened at Bates on March 4 for students, faculty, and community members with discussion and Q&A with Ohama and Prof. Wiesinger. This moving film is centered on the voices of people from the Tōhoku area who were affected by the March, 2011 triple disaster in Japan. Ohama, who volunteered in Tōhoku in the aftermath of the event, met with many people, from fishermen to mayors. She shared conversations with a brave acupuncturist who evaded death, a barber who returns to a deserted evacuated zone in Fukushima to cut hair, and the leader of the Soma Nomaoi samurai reenactment group. Students learned from her about her contacts in the area and her experience of making her film, and from Prof. Wiesinger–whose research centers on the theater and film produced in response to the disasters–about the context of the 2011 disasters. 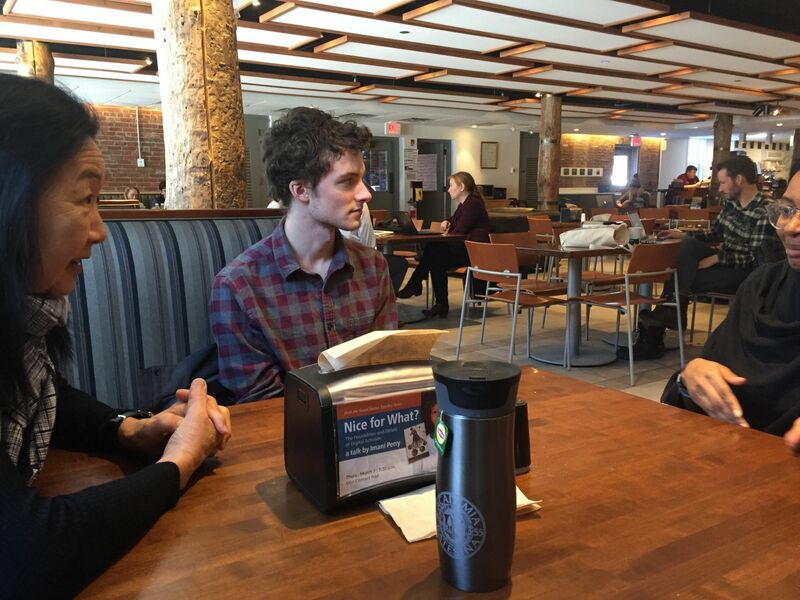 On March 5, Linda offered more of her time to Bates students, sitting down with them for an informal chat where students asked her about many topics and she shared fascinating stories from throughout her life. She told students about how she got her start as an independent filmmaker without formal training or wealthy backing. She encouraged students to reach out for help to achieve their dreams and to not only work hard, but approach their work with openness, honesty, and respect for others. 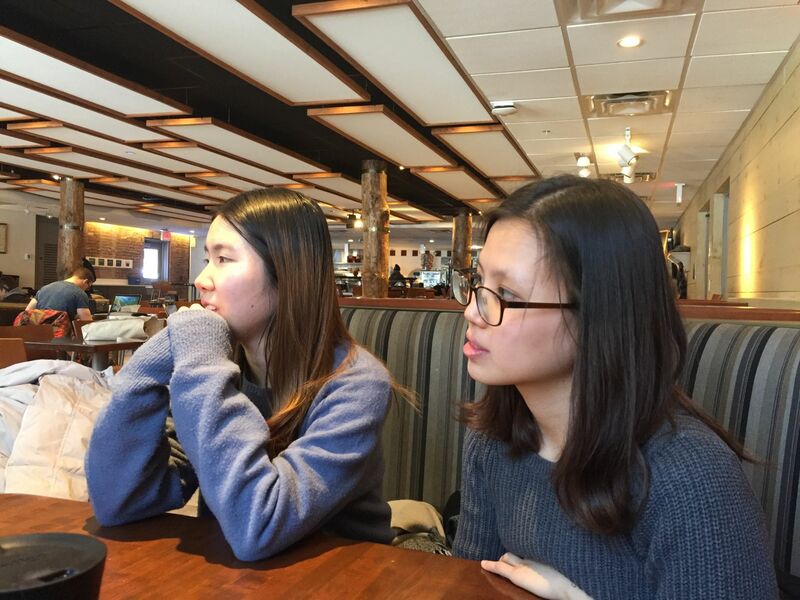 She told them about her experiences as a third-generation Japanese-Canadian, and her grandfather’s forcible internment in Canada during World War II. She also described to students how a simple desire to celebrate her grandmother’s 100 years of life on film led her to discovering a huge family secret that became her acclaimed docudrama film Obaachan’s Garden. Students asked her questions ranging from the personal to the technical, learning about her approach to filmmaking and how she acquired the skills she needed to express what is important to her.